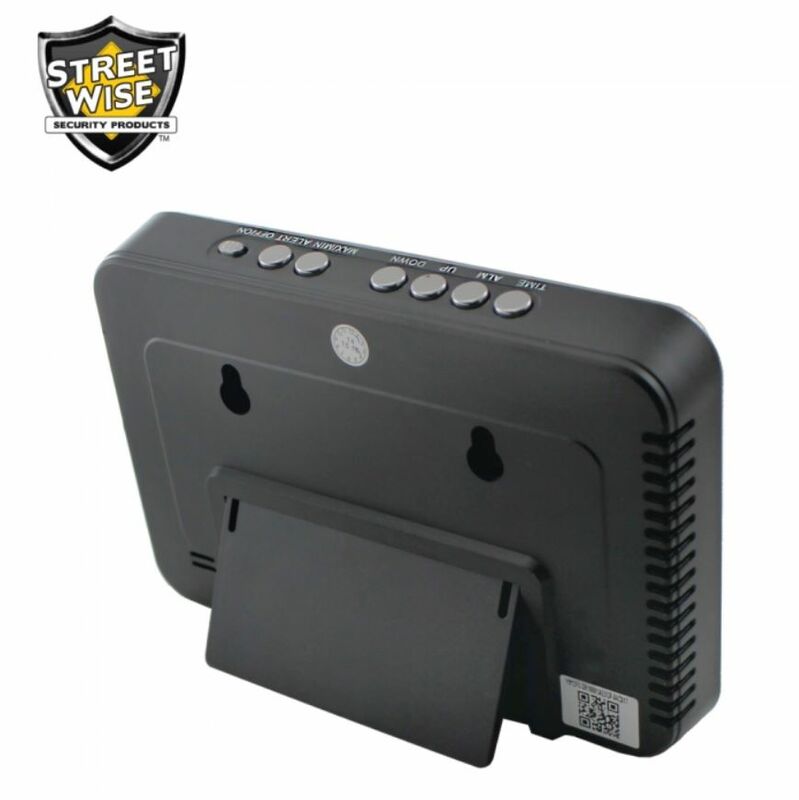 Covert monitoring of your home or business is simple using the Streetwise Weather Station Wi-Fi IP Camera. 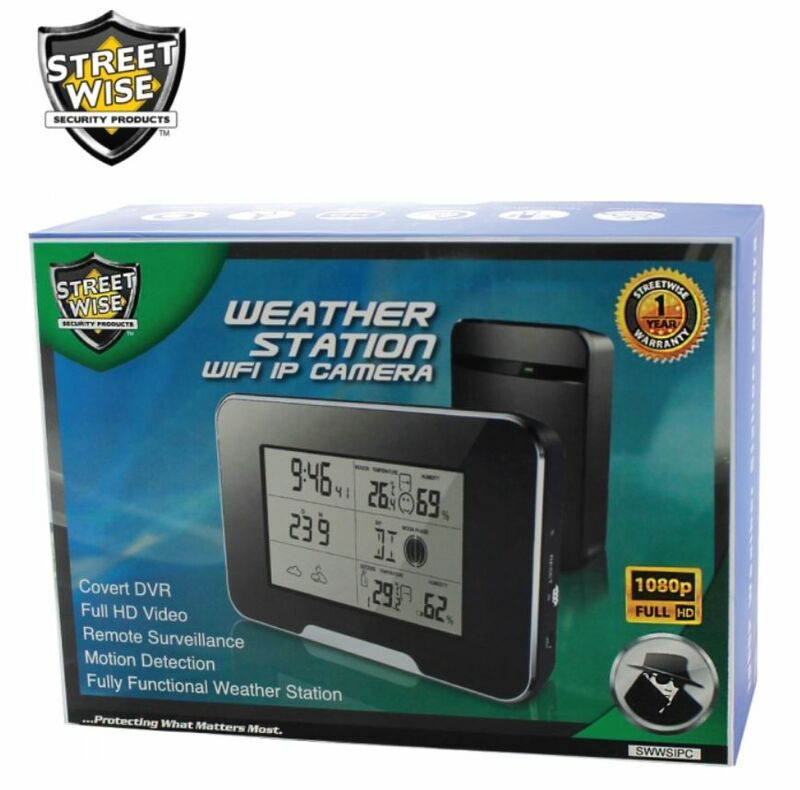 The unit contains a hidden high quality 1080P video camera inside a fully functional weather station with a 5 inch LCD screen. The LCD screen displays the date and time, indoor and outdoor temperature and the humidity, a picture of the expected weather and the moon phase. The unit is also a fully functional alarm clock with backlit display for nighttime use. 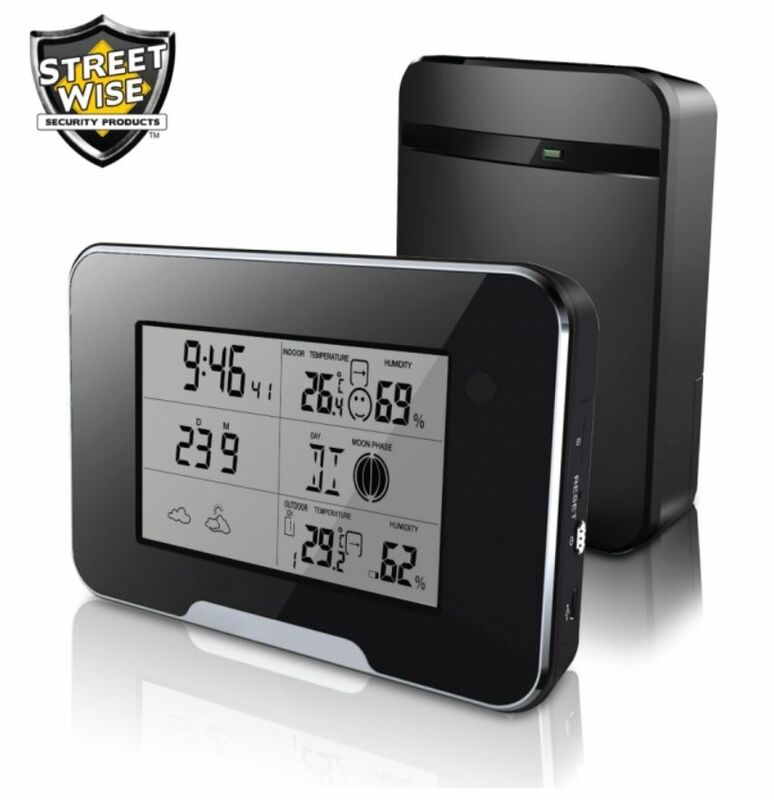 The Wi-Fi weather station connects wirelessly to the internet through your router and is viewable on your iOS or Android device by downloading the free Pro iCam app and scanning the QR code. You can also view it on your PC using your favorite browser such as IE 7 or above, Chrome or Firefox. 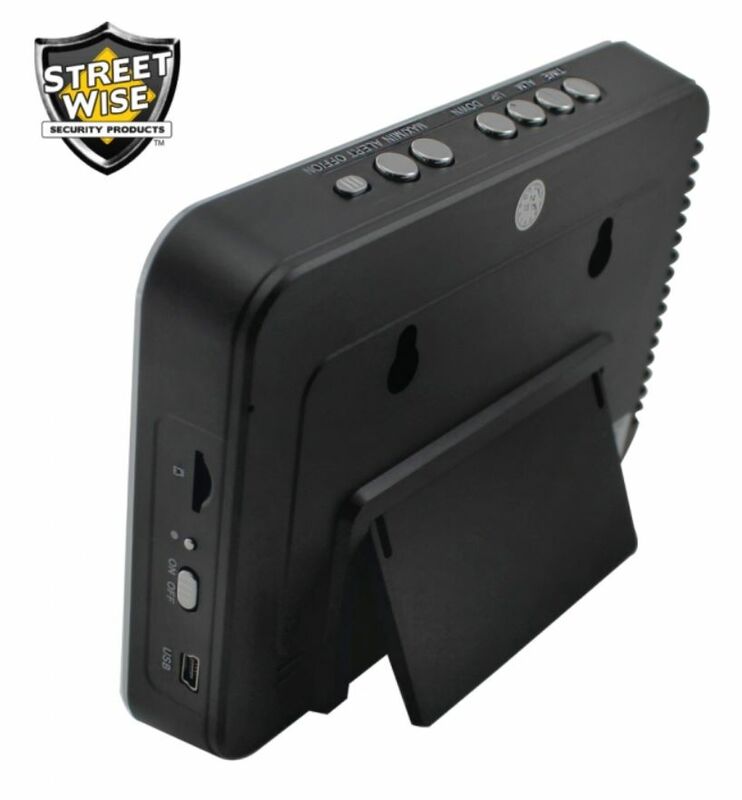 There is also no need to worry about batteries since the unit can run continuously when plugged into an outlet with the included power adapter. The device also contains a rechargeable battery that can last for 3 hours if you need short term coverage where no outlet is available. 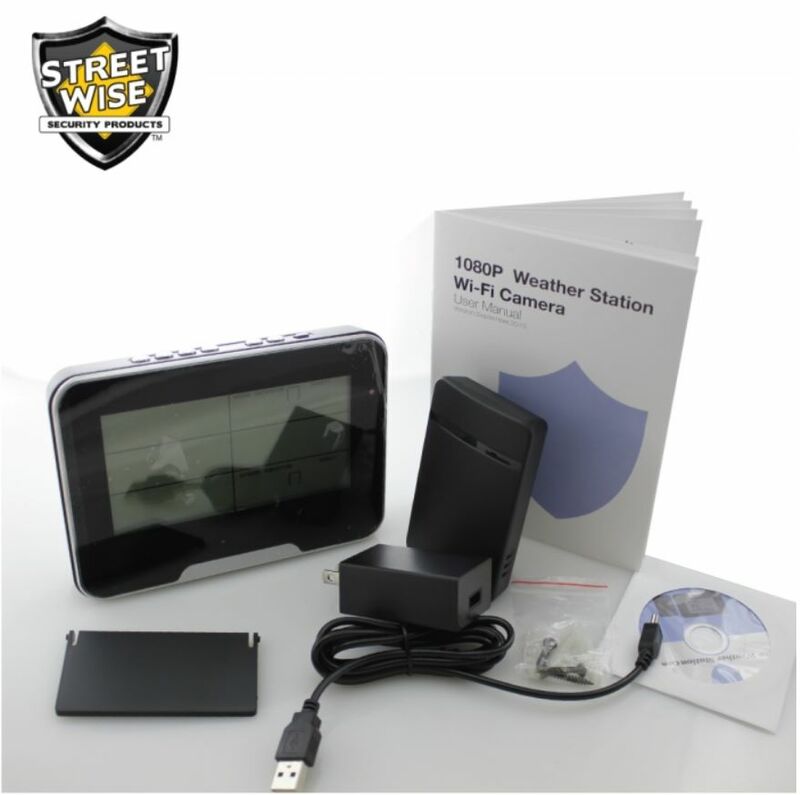 The WiFi Weather Station also contains a built-in SD card recorder that can accept up to a 128 GB card (not included) and records video when motion is detected. Another great feature of the device is the motion alert system which can be activated in the app settings. When someone trips the motion detection circuit by entering the area being monitored the device will send an alert call to your phone. When answered the live video will be displayed allowing you to determine if you need to call the police.